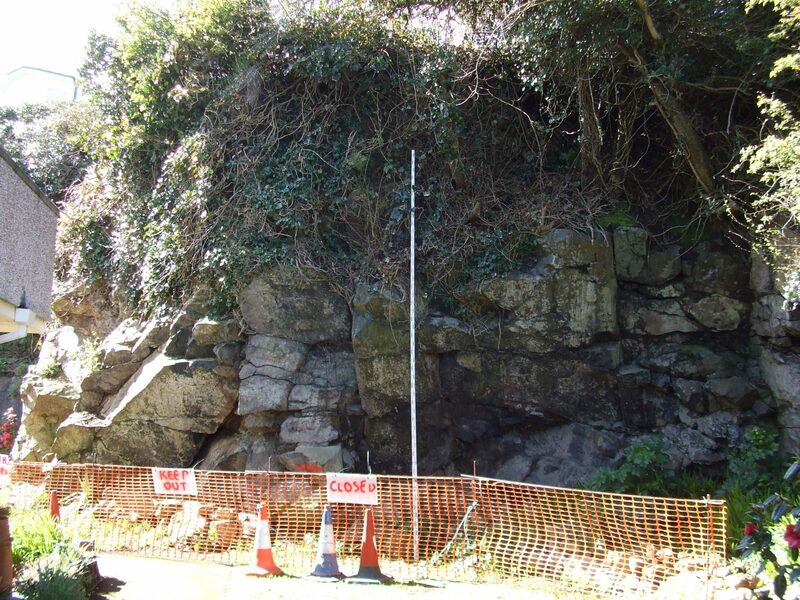 James Lockyer Associates were approached by specialist drilling and anchoring contractors to design a solution to stabilize this overhanging and loose rock outcrop adjacent to a residential development. Some rock falls had occurred and a risk assessment was carried out to determine the potential for further movement and the necessary measures to make the area safe. Assessment was made of the potential for block failure and tensioned anchors were provided to resist this. 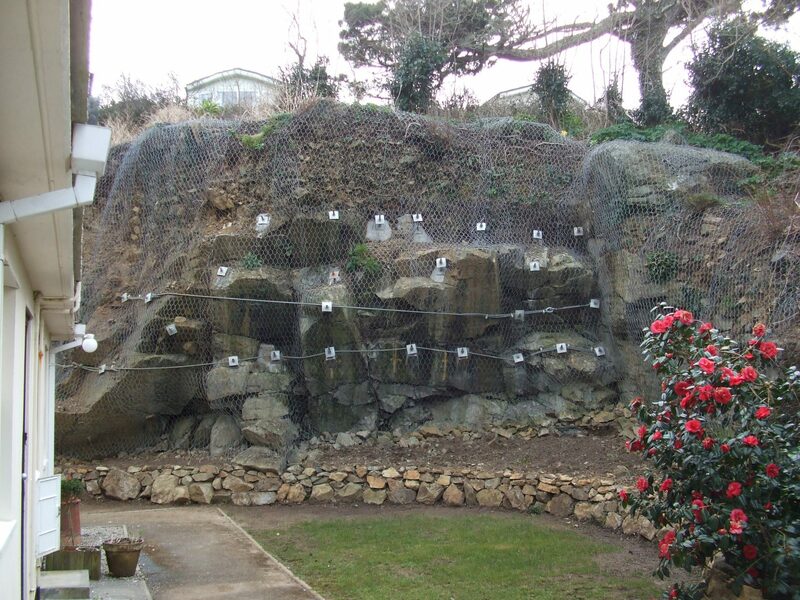 In addition to the tensioned anchors, passive protection was provided using steel wire strapping and rockfall netting to restrain interstitial loose rocks. The works enabled the amenity area behind the properties to be put back to safe use by the residents.